The magazine’s awards are judged with the help of a 100-strong panel of industry operators, experienced chauffeurs and carefully-chosen editors, who rank more than 60 candidate vehicles following comprehensive real-world testing. The Hyundai IONIQ is unique in offering the choice of hybrid, fully electric or plug-in hybrid powertrains within one body type. The capabilities of the zero-emission IONIQ Electric are perfect for those focused on reducing their carbon footprint and tax rates. It is best-in-class for service, maintenance and repair costs, while BIK contributions for company car users starts from £530 per year – just £44.17 per month. The range of 174 miles beats the segment competitors, and recharging to 80% battery capacity takes just 33 minutes. 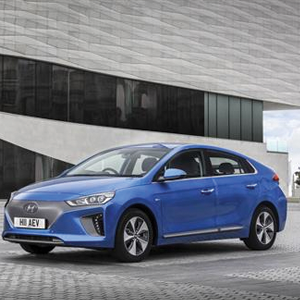 The innovative use of ecologically sensitive materials in IONIQ’s cabin adds to its green credentials for environmentally-conscious fleets and drivers. Recycled plastic is combined with powdered wood and volcanic stone for the interior door covers, providing the same quality appearance as conventional oil-based plastics. Hyundai has enhanced its fleet offering substantially in recent years, with product innovations, process improvements, and a high level of customer service central to its success. The latest award is the company’s seventh fleet industry accolade for 2017.